Nemo lost his father and now Dory is also in need of some help from her underwater friends. High wall and sewn in rain cover, for those rainy days. This inflatable is suitable for children up to the age of 14. 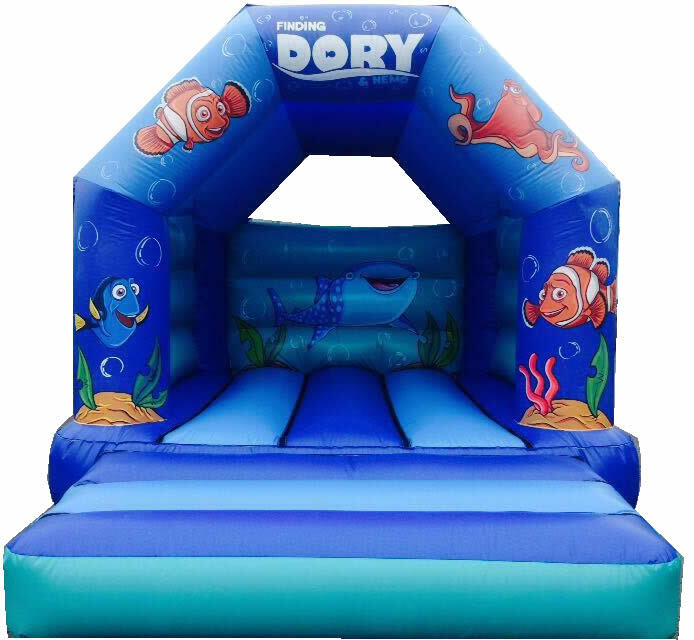 Please note you are booking Dory and Nemo Bouncy Castle l from Castle Empire Bouncy Castle Hire Manchester.